Are you looking for a home inspector that is honest, extremely thorough, and knowledgeable? 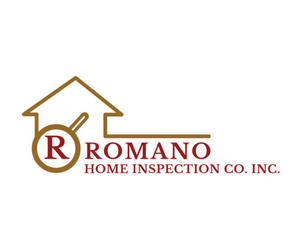 Romano Home Inspection is a family business owned and operated by the father/daughter team of John and June Romano. They have served customers for over 31 years with a focus on Boston to the North Shore, Metro West, Southern New Hampshire, and Southern Maine. Inspections by Romano Home Inspection are detailed and thorough. They do not put a time limit on inspections they perform. They give every job whatever time is necessary to analyze the property. 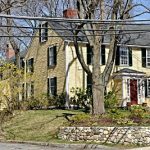 Proud members of the American Society of Home Inspectors (ASHI), they inspect all sorts of homes, but have extensive knowledge of antique homes, coastal homes (like the ones right here in Greater Newburyport! ), as well as commercial properties. They provide very comprehensive reports to their customers with detailed explanations and images. An average inspection report is 25 to 50 pages. They organize the report into sections that discuss projects that need to be addressed immediately and projects that can be addressed in the future. Reports by this home inspector are written in terms that make sense to the average homebuyer! They avoid overly technical terminology and strive to provide details that not only aid the homebuyer in understanding the issue, but also provide options that will help them to gain resolution to issues uncovered during an inspection. Rapid turnaround time on reports is an extremely important attribute of a home inspector. Romano Home Inspection completes reports for customers quickly, within a couple of days, because they understand time is critical for home buyers. Organization and accurate record keeping are also essential to a successful home inspection business. Should they have a past customer return to them needing information about an inspection, Romano Home Inspection is able to easily and quickly locate an old inspection, answer questions, and provide documentation. Choose Romano Home Inspection for their breadth and depth of experience and extremely thorough work! John Romano is a licensed home inspector and owner of Romano Home Inspection Inc. He serves clients in Massachusetts, New Hampshire and Southern Maine. 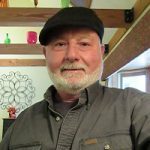 Romano He has been inspecting residential homes, condominiums, multi unit homes, log homes, timber frame homes, mobile homes and commercial buildings since 1986. In addition to home inspections, Romano Home inspection also offers consulting services for home and building owners. As a home inspector he has inspected thousands of buildings from 1986 to present with many having historical interest. The buildings sale ranges from less than a quarter million dollars to multimillion dollar properties. John uses his expertise to educate you the client of the condition of what you may be purchasing and maintenance for the systems and components. My knowledge comes from hands on experience from the 1970’s with timber frame buildings, balloon framed buildings and platform framed buildings. John has attended Whittier Technical School for licenses in construction, heating and cooling in addition to countless hours of educational training with (ASHI) American Society of Home Inspectors. John is a long time member of (ASHI) American Society of Home Inspectors and a member of Historic Buildings Association. Besides being licensed in home inspection, he holds licenses in construction, heating, cooling (RRR) and wood destroying insects. John has been trained in carbon monoxide inspections with the Bacharach Company. John has retired from Title 5 septic system inspections and repairs as well as soil evaluations. Consider the importance of protecting your coastal home or condo! When you purchase a home or condominium near the ocean you need to be aware and accept the possibilities of damage to the building from extreme and hurricane force winds, wind driving rain and snow as well as over land flooding. Wind driven rain may penetrate the best constructed building envelop. This is all part of accepting the possibility of damaged homes or condos with living along the coast. Protecting your coastal home of condo is important for the longevity of the building as well as to minimize continuous repairs. Buildings constructed next to or near the ocean tend to have more damage from these storms than inland buildings. Protecting your coastal home or condo may minimize damage that tends to occur with buildings near the ocean include roof shingle, roof sheathing, roof framing, exterior siding, exterior sheathing, windows and any other roofing and exterior related components exposed to the elements. There is a possibility of damage to the building from overland flooding. Roof shingle should be rated for winds up to 120 TO 150 MPH. These types of roof covering shingle tend to last with high winds if installed correctly. The shingle should be fixed to the roof with proper fasteners and roof shingle adhesive for coastal installations. Roof framing and ceiling joists should have hurricane ties installed securing them to the top wall plates. Wall framing should be secured with mechanical anchoring systems and fasteners to the sills and the sills to the foundations. Vinyl siding is not recommended to be installed along immediate coastal areas. Vinyl siding tends to peel from the building. Vinyl siding is not fully water tight. It is the protection of the building sheathing and rough openings under the siding that prove to be water resistant if properly installed. (Fiber cement) siding and hard board siding is not recommended as these siding materials tends to be swell, delaminate and break down more rapidly than wood. Windows depending on how close to the coast they home is should be impact resistant windows. Coastal homes should have (Zone A) windows. These are impact resistant windows to a point and are vinyl clad to resist salt in the air and spray from salt water. The window frames, sash and panels are reinforced for high winds. In many cases flood doors may be needed for crawl space and basements should overland flooding occur. Properly installed these flood doors allow water to come and go during overland flooding. In some cases with severe overland flooding during a severe storm damage to the foundation may still occur. 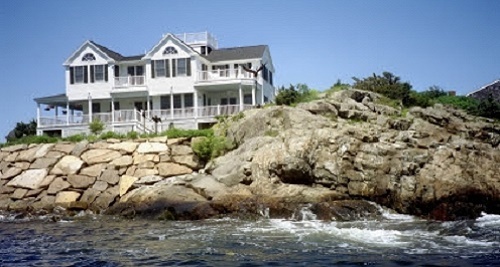 Protecting your coastal home or condo with proper materials will help to minimize added funds needed for repairs. All exterior trim, fascia and soffit should be of a cellular PVC manufactured product rather than wood. These materials tend to stand up to high winds and are rot resistant. They need no finish applied. When using wood for fascia, soffits boards and trim the wood tends to rot quickly and paint tends to peel more rapid. Exterior decks, balconies and porch framing connectors should be stainless steel. Stainless steel fasteners should be used throughout the exterior of the building. All exterior attachments should be hurricane connected. Attic venting is not recommended due to the possibility of extreme wind and uplift of the roof frame. This however may contradict venting standards. When purchasing a home or condo near or along the coast, the property should be professionally inspected to make sure damage has not incurred from wind driven rain, storm surge, debris or fire. The first step in protecting coastal homes or condos is hiring an experienced professional inspector to evaluate all components with the home or condo. Even if you currently own a home or condo along the coast it is important to protect your coastal home or condo with first hiring an experienced professional home inspector.